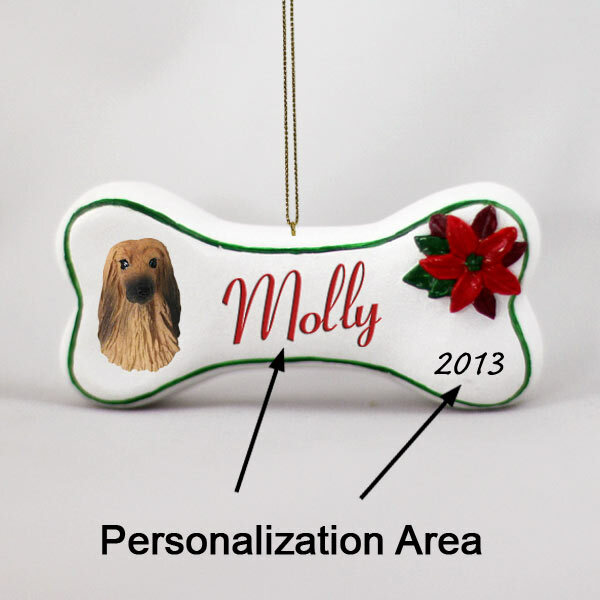 YOU MUST PERSONALIZE THIS ORNAMENT YOURSELF. Measuring approximately 2 5/8 inches wide and 1 7/8 inches tall, this ornament is hand painted stone resin and ready for your personalization. Each ornament comes with our detailed, breed specific, Tiny Ones head and a gold tone cord for hanging this unique decoration from your Christmas tree or anywhere you’d like to have a little company. Individually packaged and labeled in our blister packs, ready to give as a gift, or hang in your store!